Centrally located and well equipped the 54 on Bath offers six well-appointed and flexible conference venues in Rosebank near Sandton. Our conference and function venues can accommodate up to 120 guests, as well as a boardroom for 20 located on the second floor. Our hotel’s dedicated conference team will provide knowledgeable assistance in customising any event to your specific requirements – from business meetings to conferences, from cocktail parties to breakfast presentations. We can also assist with audio-visual and stationery supplies. Our skilled Executive Chef provides special menus and catering options to ensure that your event is also a culinary success. Our selection of meeting rooms includes Kentridge, Batha, Hitchcock, De Jongh, and our boardroom – each of which is designed to provide a flexible space for events.  Contact 54 on Bath today to find out more about our bespoke venues and conference facilities in Sandton, Johannesburg.